Atletico Madrid bought Antoine Griezmann in the 2014 summer transfer window from Real Sociedad for a reported fee of £27 million, which turned out to be the best £27 million ever spent in the history of the club. He was an instant success in the Spanish capital. In his first season, he scored 25 goals and provided 6 assists. He continued with his terrific form during the 2015/2016 season in which he scored 32 goals and provided 9 assists in all competitions. Antoine Griezmann is now in the company of elite footballers after finishing 3rd in the Balon d'Or twice in 3 years. He is considered one of the best footballers in the world right now and is tipped to reach the levels of Messi and Ronaldo. The Frenchman is wanted by the best clubs across Europe but has proven his loyalty to the Atletico Madrid board and supporters by rejecting Manchester United in 2017 due to Atletico's transfer window ban. He also rejected Barcelona a year later. 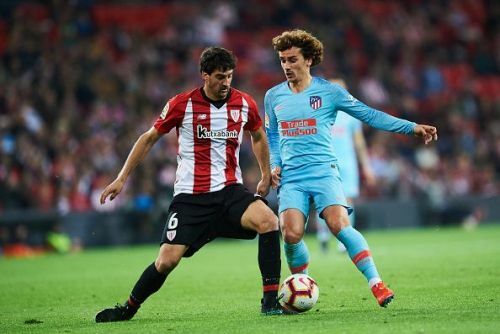 But now reports suggest that Griezmann regrets not moving away from Atletico Madrid last summer and will be looking for a move away from the Spanish capital in the summer. Manchester United have been long-term admirers of the player and will be keeping a close eye on the situation. Barcelona is also said to be interested in the player. "It’s true that I’m tempted to play with him( Paul Pogba) at club level one day and dedicate more time to him. He really is a very good friend." A creative influence like Paul Pogba will definitely help Antoine Griezmann improve his goal-scoring and will take his game to the next level while their off-pitch chemistry will also help Griezmann settle quickly at Manchester United. 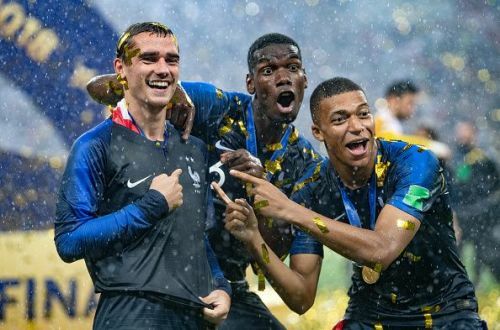 Paul Pogba isn't leaving Manchester United anytime soon and if Griezmann wants to fulfil his dream of playing alongside his mate, he will have to join him at Old rafford.